It’s never easy for a program to transition coaches when a beloved and easy-going guy is replaced by an unknown hard a**. Recently, the Dean Smith/Bill Guthridge to Matt Doherty disaster of a transition might serve as a great example. 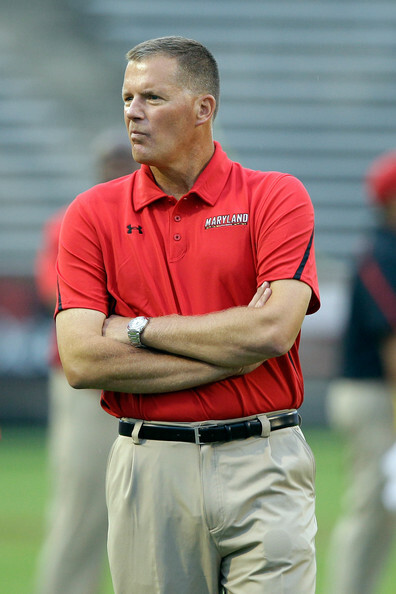 So its no surprise that things are a bit rocky at Maryland where unknown disciplinarian Randy Edsall has followed in the popular footsteps of the jovial Ralph Friedgen. Of course, winning or losing moves the meter one way or the other as well. Had Danny O’Brien not thrown a horrible game ending interception against WVU and the Terps figured out how to tackle any of the Temple Owls, things might be different. But losing (just ask Matt Doherty) makes it much harder to meet pretty girls at the fall mixers. That said, winning for the Terps is a tall order as they face Georgia Tech’s offensive machine which is currently second only to Oregon’s up-and-down the field Ducks. "One veteran Maryland player, who spoke to a Post reporter privately about his feelings about Edsall, expressed some displeasure with Edsall’s strict approach, saying that the coach has stifled individuality and created a militaristic atmosphere around the Gossett Team House. The player, who spoke anonymously so he could talk freely, said he would keep his spirits up because he had just three more months before he left the program." 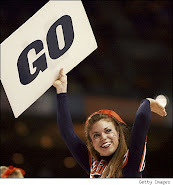 Other players, however, have publicly defended what they called their coach’s no-nonsense approach.